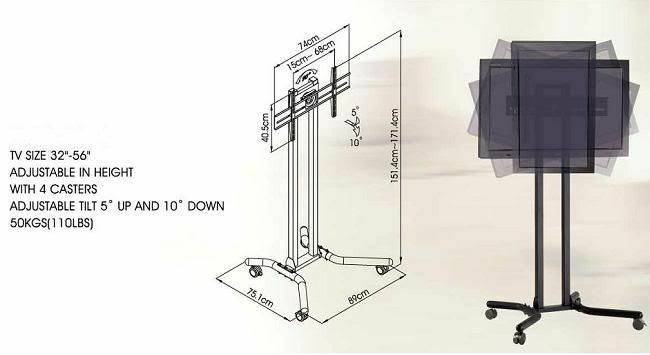 Easily adjust screen position for optimum viewing - up, down, tilt, rotate between portrait and landscape orientation. 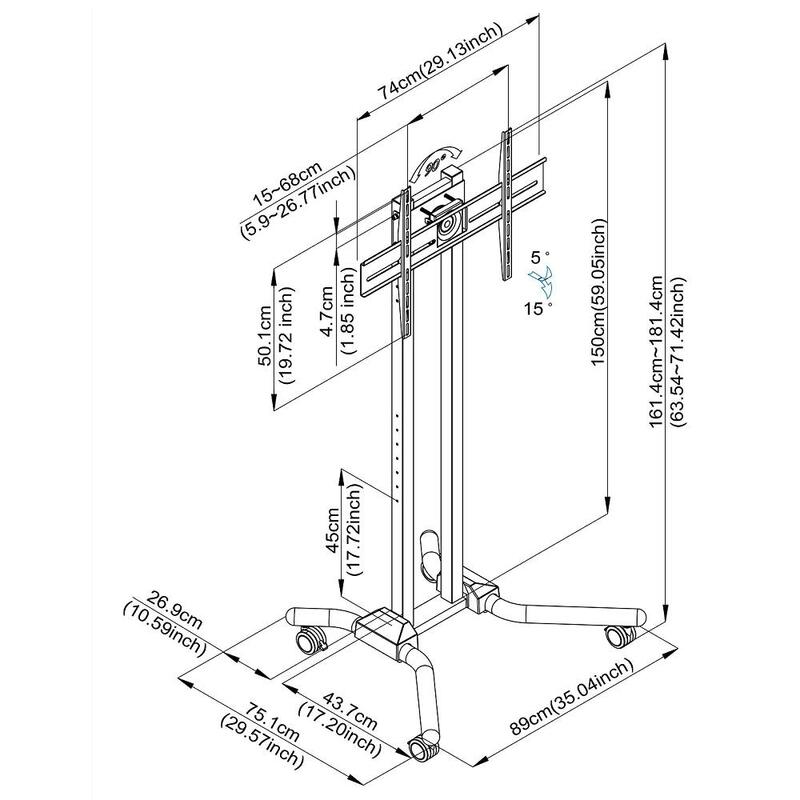 You may usually find mounting patterns dimensions on the technical drawing page of your owner’s manual. 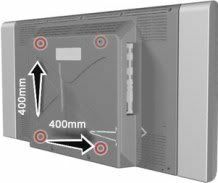 Otherwise you can simply measure from the center of one hole to the center of the next (both vertical and horizontal). 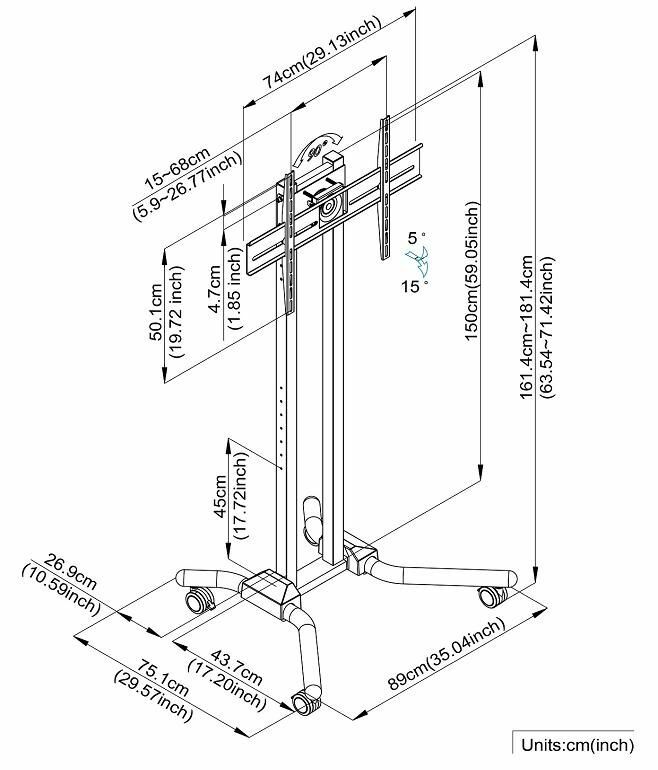 Please remember to measure in millimeters. 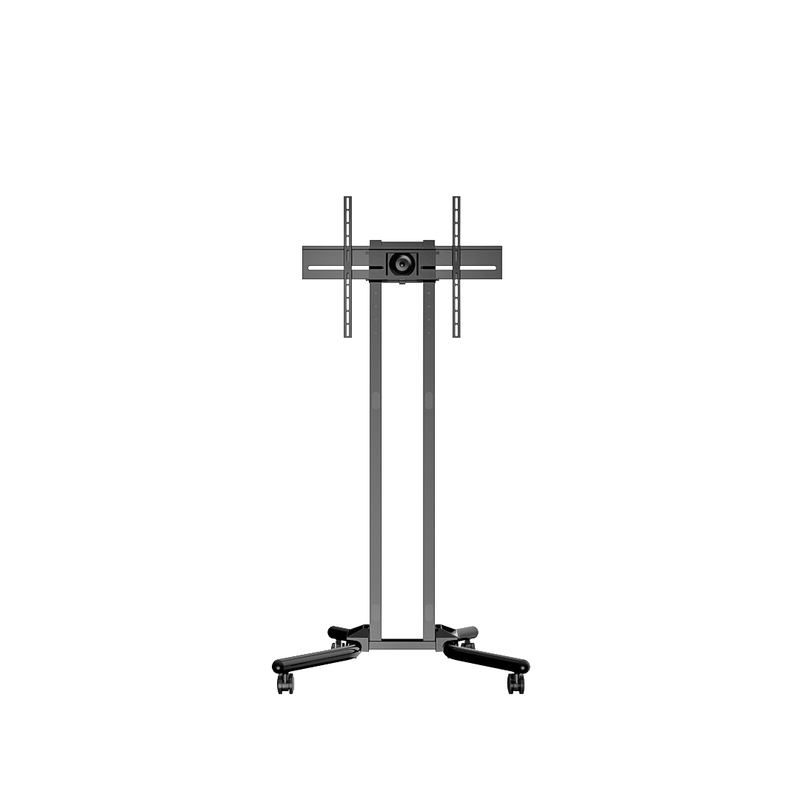 Feel free to contact us if the mounting pattern of your TV is different and we are very glad to help you out! 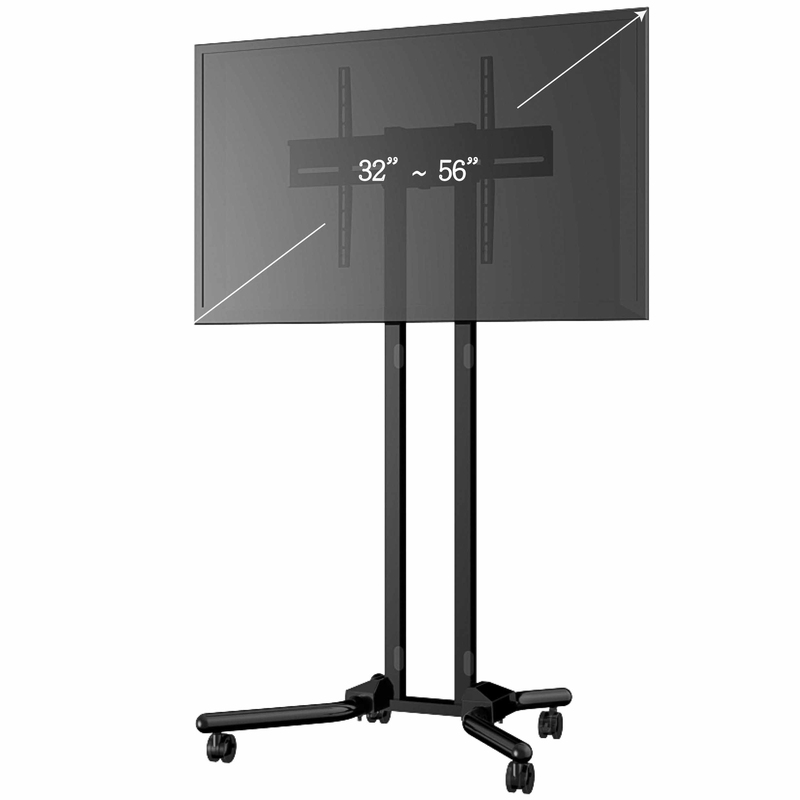 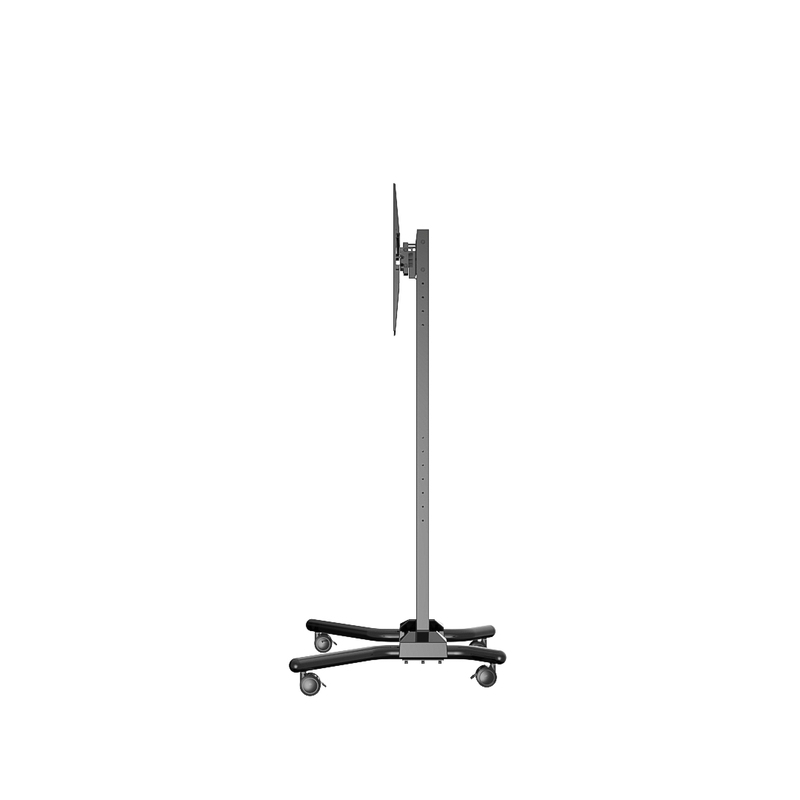 Our new 32 to 56" TV Cart - Adjustable, Mobile & Ergonomic is a perfect solution to all your digital display and presentation needs. 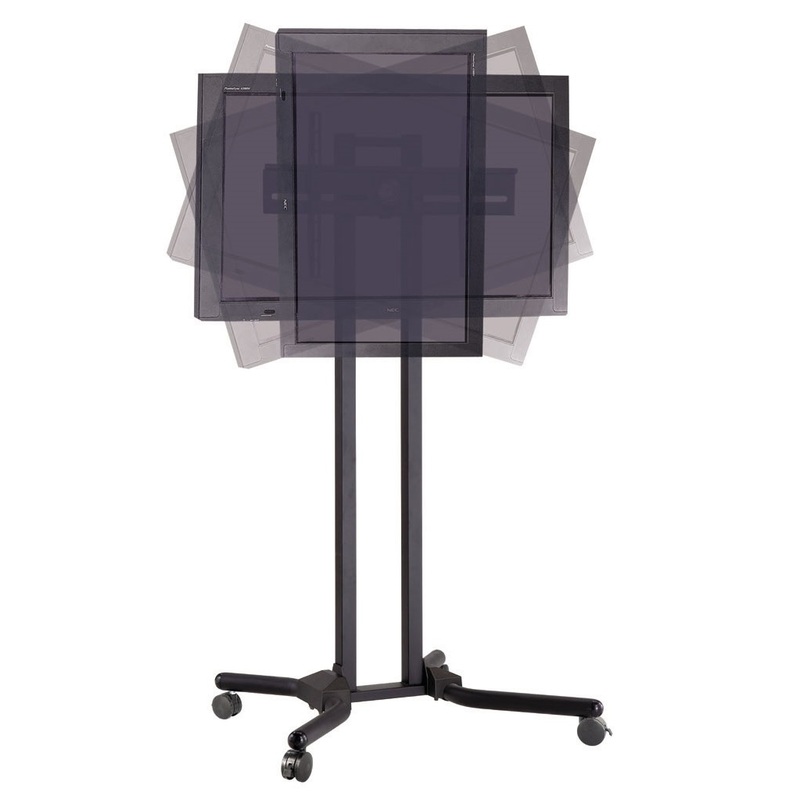 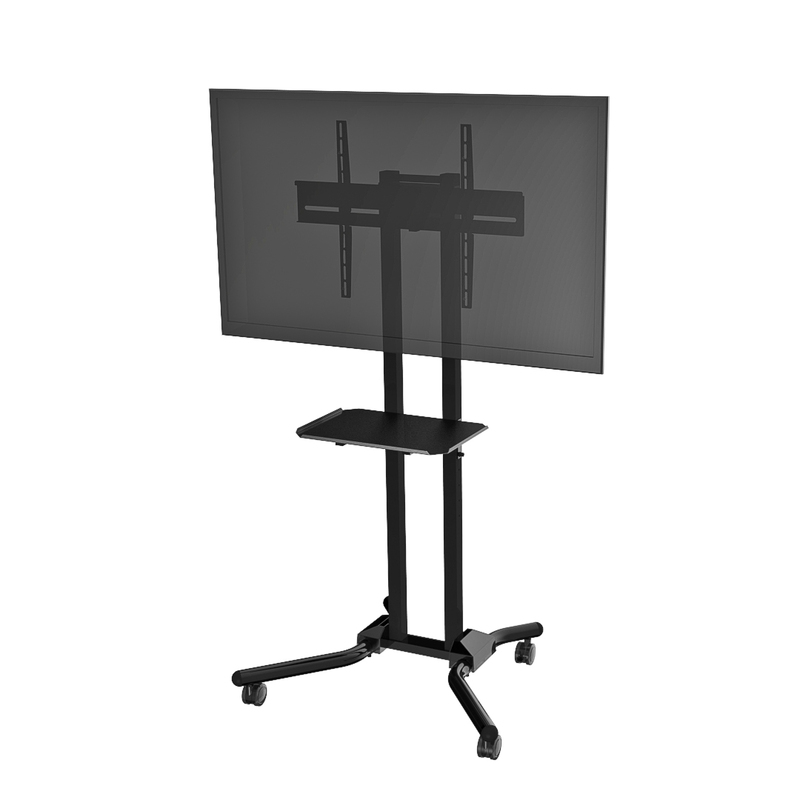 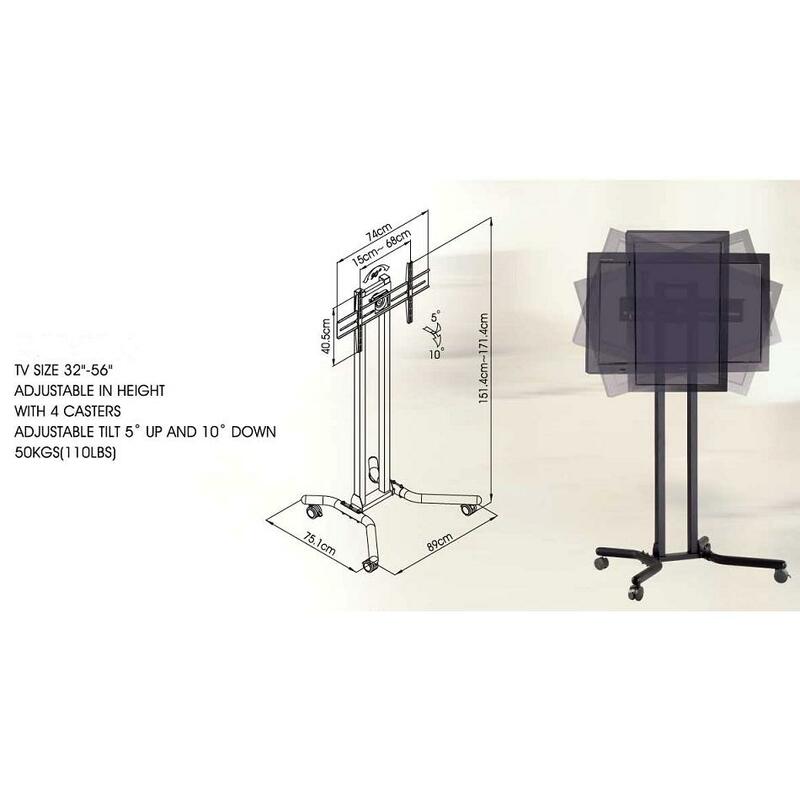 The rolling TV cart is ideal for safely and securely moving flat panel displays up to 56”, with universal or VESA mounting pattern up to 600x400. 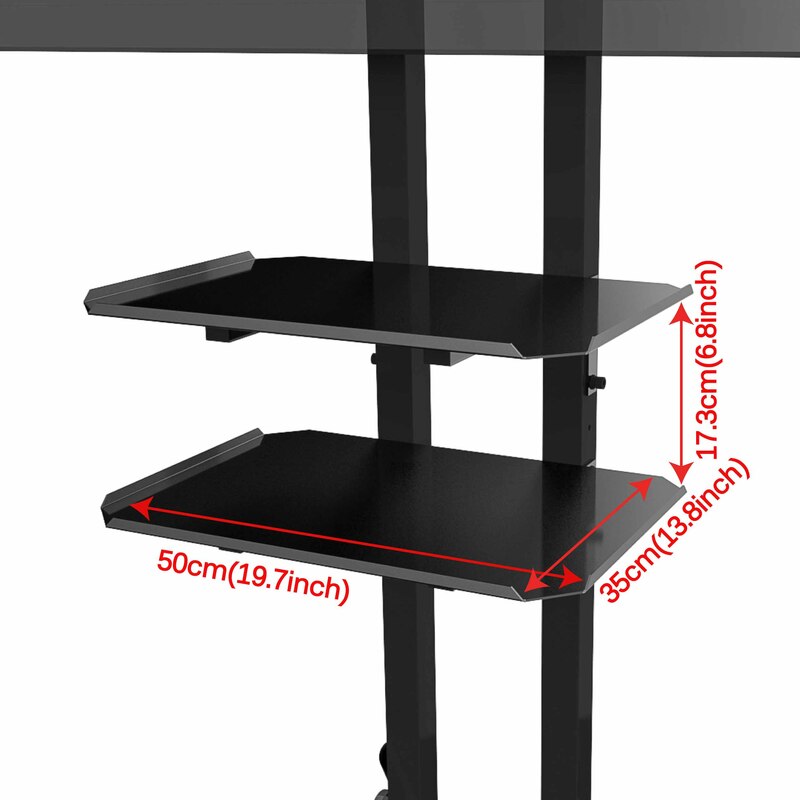 The moveable TV stand has 71.47” (161.4cm) maximum height and it’s fully mobile with 4 heavy duty casters. 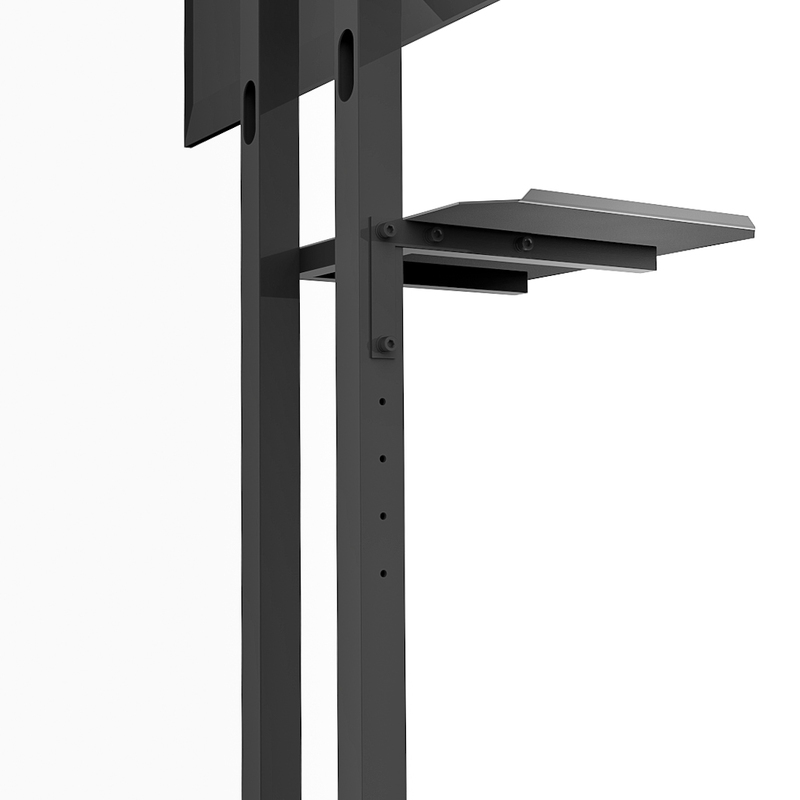 This flat panel TV stand is made of steel, featuring weight capacity of 110 lbs (50 kgs), portrait-to-landscape rotation, 5° to -10° screen tilt. 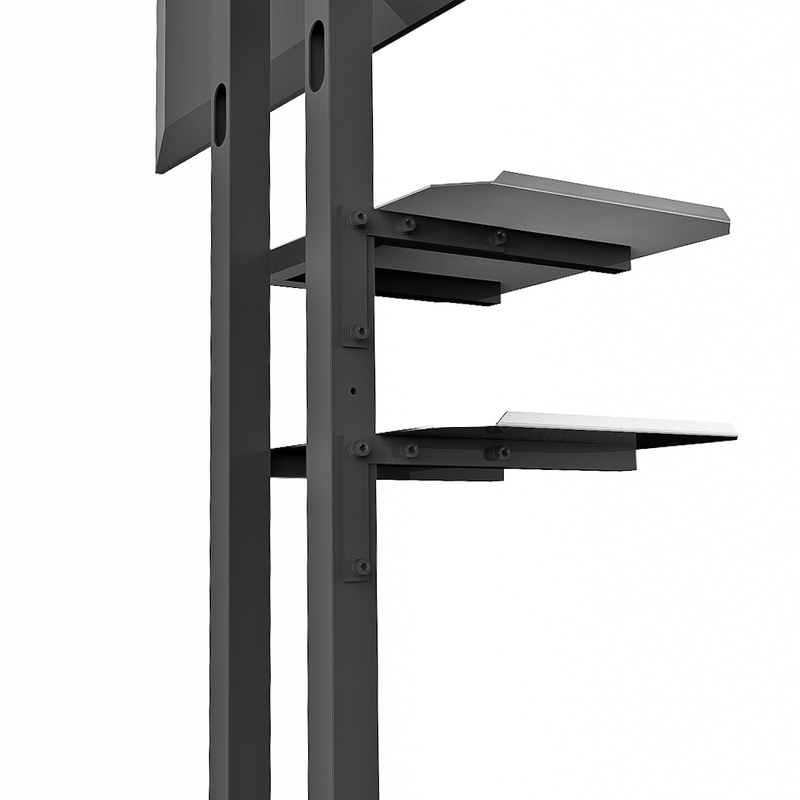 Equipment shelves are optional for anything from laptop, DVD player, to projector etc. 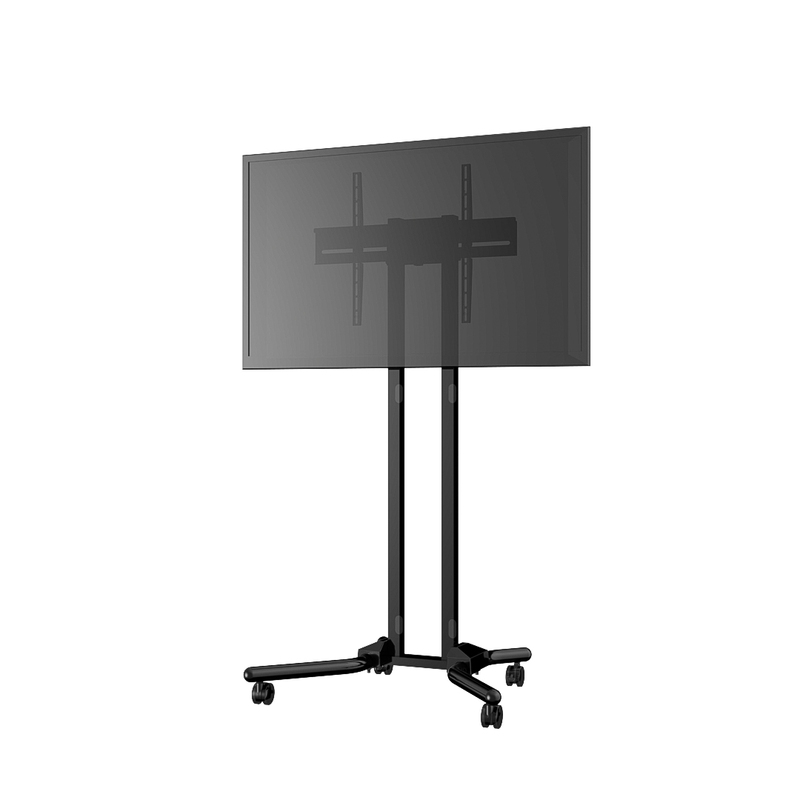 Its ergonomic, portable, space saving attributes and contemporary look make the media cart an attractive choice in all types of conferences, exhibitions, businesses, office, mall kiosks, retail stores, factories, band, schools, hospital, internet cage and even for home entertainment.